GlaxoSmithKline has settled out of court for many cases involving Avandia. The vast majority of the settlements focused on the contention that GlaxoSmithKline was aware of the risk, but did not inform the public. If you, your family or a friend are victims of Avandia side effects and need to protect their legal rights, contact PADOVE LAW, toll free at (877) 446 5294 for a free consultation. 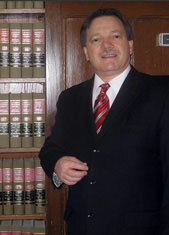 Burton Padove is licensed in Illinois and Indiana and is ready to assist you.